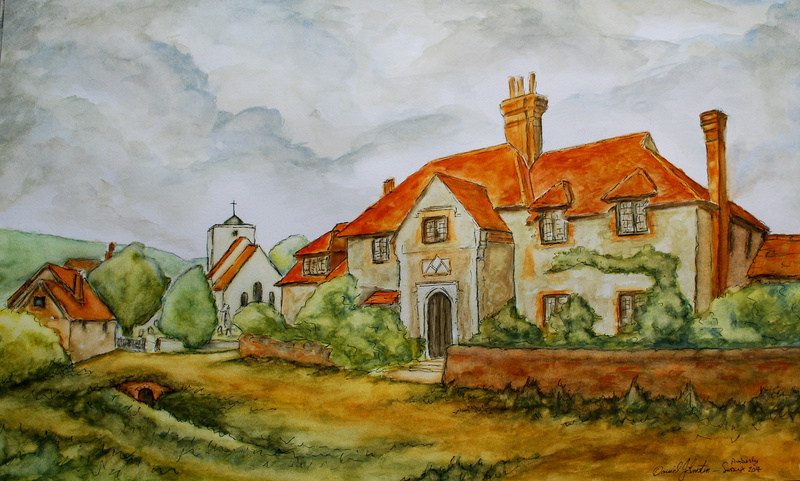 Architectural Artist David Johnston, who lives in Petworth, is currently taking commissions for – House Portraits. David works in Ink & watercolor on quality paper: or Acrylic paints onto canvas. Using either of these two mediums he creates unique portraits of your home taken from emailed jpegs or posted photographs. There is a choice of two designs. The first is: ‘Classical’ showing the character of your home in its beautiful setting. Note: example – Amberley House. The second choice is: ‘Historical’ which brings bygone events connected with your house into the picture. Perhaps some fascinating legend brought to life: or simply old rustics busy in the flower garden. 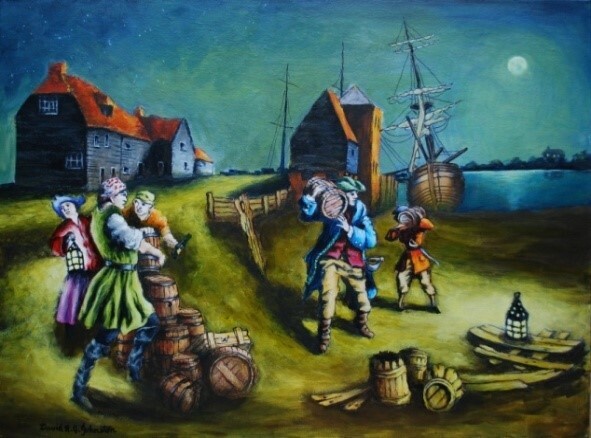 Maybe even a moonlight scene with smugglers coming and going. In fact any myths or stories from the misty past can be fully illustrated within the picture that principally portrays your home. Note: example – Dell Quay. 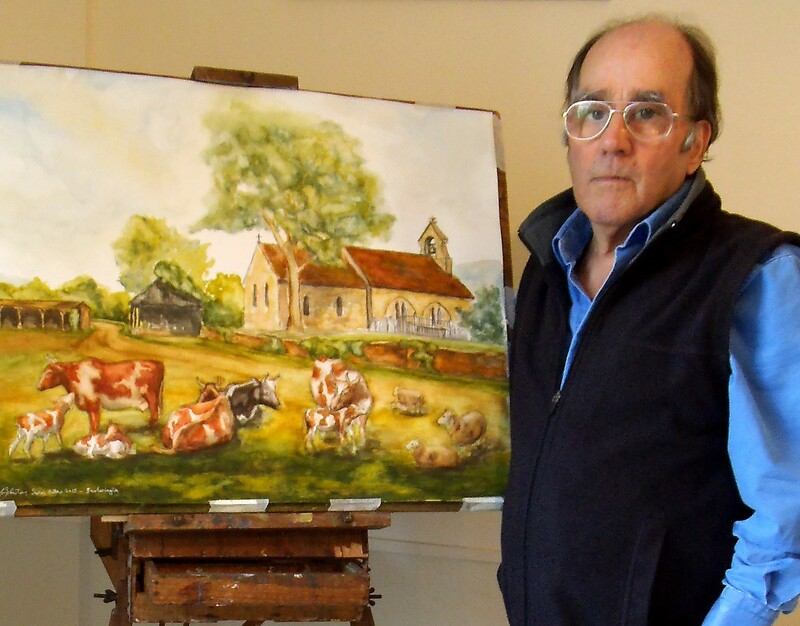 Trained in contemporary art – by Tutor: Bruce Barnden. Followed by several years (1970’s) working on ‘Private commissions’. Design & Illustration (Galactic Aerospace art) for pamphlets & posters commissioned by – ‘Industry in Your County’ – four major exhibitions: event opened by BBC Broadcaster Sandy Gall: 1980. Designer – Artwork – Commercial Trade signs & Logo’s. Stage Flats design & artwork for Richard Stilgoe Christmas Show – Festival Theatre. Oxmarket Gallery, Chichester – exhibited. District Gallery, Chichester – exhibited: 2017. South Downs Memorial Hall – exhibited – surreal & contemporary art: 2017. The Midhurst Gallery – exhibition: 2018. Please note prices & sizes on – ‘Ordering – House Portraits’.